Many local skip hire companies in Wigan provide a wide range of waste and skip hire services for residential and commercial customers, including builders and tradesmen, throughout the construction industry. Skip hire and rentals are a needs must when doing any type of large home improvement whether its a new back garden, loft conversion, kitchen extension or a new central heating system installation. 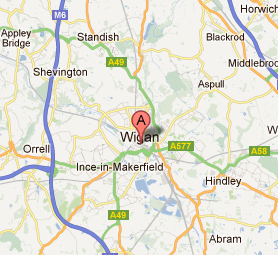 It is important you find a good skip hire company in Wigan to ensure you do not get over charged. You want a skip hire company that do NOT over charge, deliver the skip on time and take the skip away when they say they will. We can recommend a few skip hire businesses based in the Wigan area, that have gained a great reputation in Wigan for a quality service from dropping the skip off and picking it back up and they do not cost the earth. Please see below our recommendations.